Since June 2017, ACTE has begun the creation of a research center dedicated to Autism Spectrum Disorder within the premises of Université libre de Bruxelles. 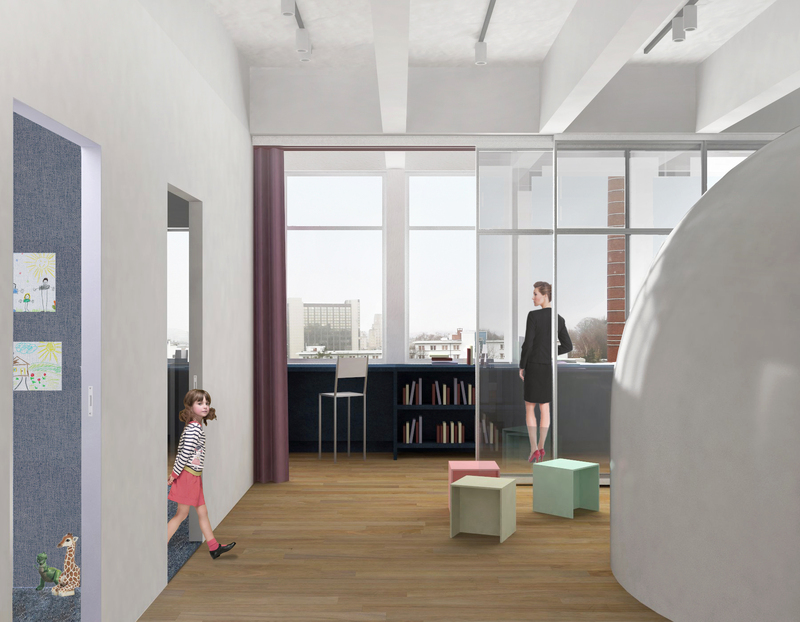 This center, of which the architectural design is oriented specifically towards autism and its sensory characteristics, has no equal in Belgium. However, our ambition is to go beyond a simple research laboratory on autism. This center will of course provide experimentation and observation rooms, but also spaces where people with autism and their families can grow with confidence, inform themselves and attend scientific conferences. As such, the center will be an exceptional opportunity for the worlds of research and families to interact, listen to each other and move forward together. The architects of the architectural practices Central/V+ working with us on this exciting project, took the time to discuss with parents and adults with autism and to visit several institutions for children and adults with autism. An important reflection process took place this summer to create a center adapted to the specificities of individuals on the spectrum while also meeting the unique requirements of a research environment in the field of autism. In September, we invited a group of individuals on the spectrum and parents to visit the premises and have them share their impressions on the first scale model of the Center. On basis of these fruitful discussions and regular contact with the research team, the architects are now working on the most technical aspects of the design and should shortly come forward with a refined version of the plans and choice of material. This latter selection will be crucial given the sensory specificities of autism: we will pay extra attention to the amount of visual information, touch and acoustic provided by the selected material. The materials must also be sustainable and safe. The center revolves around three large areas. The experimental area, at the heart of the Center includes a big testing room, completely adaptable to respond to the requirements of each on-going study, an technical room in which experimenters can analyze the data collected and one interview room for adolescents and adults with autism and their parents. This latter room is strategically situated so that parents can observe their child during testing sessions via a one-way mirror. The conference area consists of a big seminar room. 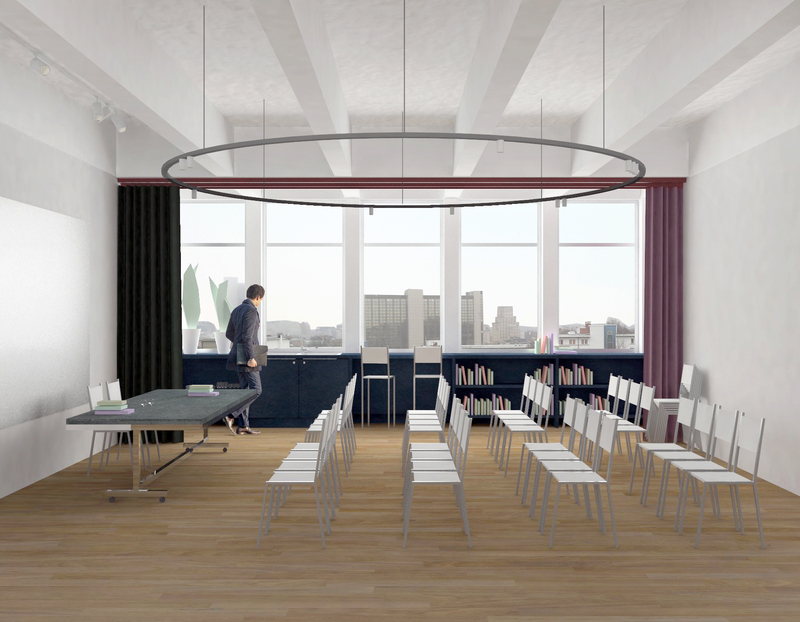 These three research areas and the conference room will be complemented by a reception and waiting zone of which the design is entirely oriented towards the well-being of the participants: two waiting rooms will be designed for children, namely a calm one and a more dynamic one to satisfy both the needs of those who are seeking stimulation and those who can feel overwhelmed by too much sensory information. 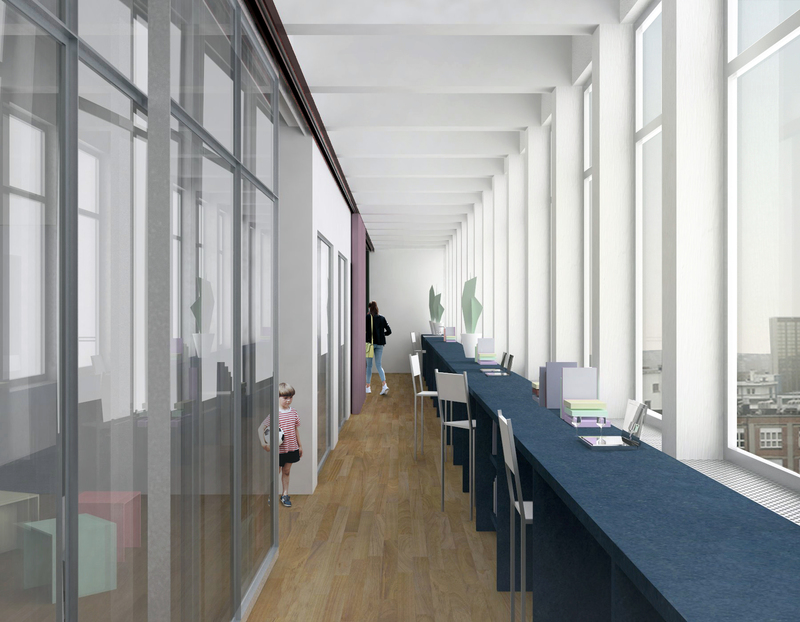 A third waiting room will be designed for adults and will be located right next to the multimedia room providing those who are interested, access to computers and internet. A central haven in which there is a Snoezelen, will harmonize circulation around these three areas. Adequate sanitation facilities will be at available and PWM (person with reduced mobility) access will be secured for the entire Center. Circulation between the areas was designed to be as transparent as possible. A glass-framed passage has the dual function of guiding visitors through the set and bring natural light to each room. 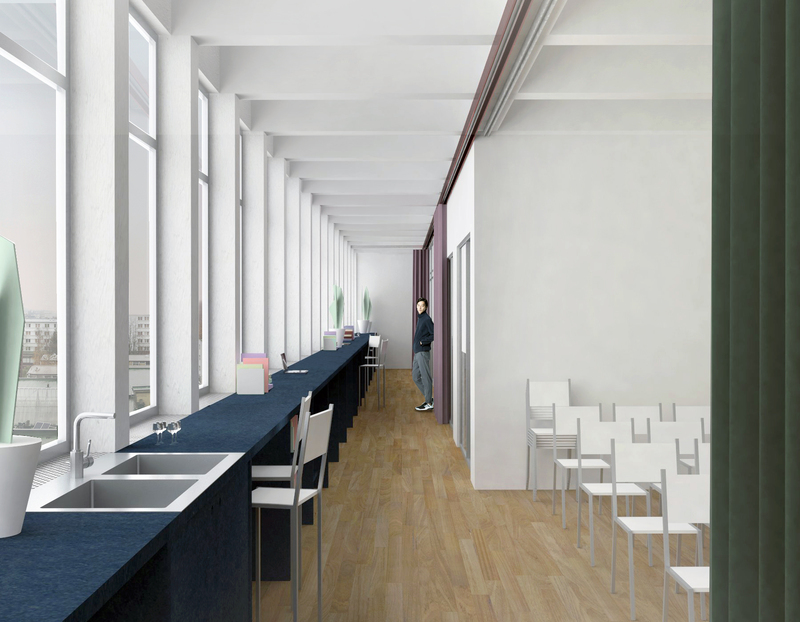 It will also contain a table all along the windows, which will offer working or relaxing spaces with a beautiful view and will also have a kitchen adjoining the conference room. 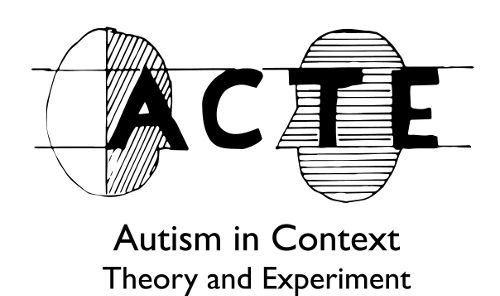 The Center ACTE aims to go beyond the simple structure of a research lab and become a key place of contact and dialogue between various participants in the world of autism. For example, the aforementioned university course on Autism Spectrum Disorder, will take place in this center and will gather professionals working in this domain, but will also be in part open to parents and caregivers. Conferences and seminars will be organized as well as events targeting a non-academic audience. In line with a federal perspective on Belgian research on autism, the Center also intends to welcome the teams of other universities and provide them with the benefits of the research infrastructure. With the financial supports of Fondation ULB, fund support Marie-Marguerite Delacroix, Fondation Jean-François Peterbroeck, Fondation Paul, Rénée et Suzanne Lippens and fund support Yves Collinet (via Fondation Roi Baudouin), as well as the many private donators, the project could begin in June 2017. We are starting the construction of the center in March and hope it will be completely functional in September 2018.